Over the last week a number of underage City sides took part in the annual Foyle Cup competition. The U15s, U17s and U19s all got to their respective finals. Partick won 4-2 on penalties. Patrick Ferry, a recent signing from Gweedore, netting a brace and Caolan McLaughlin headed home the third goal in the second half. The goals coming from Evan Tweed, Jack Malone and an own goal. 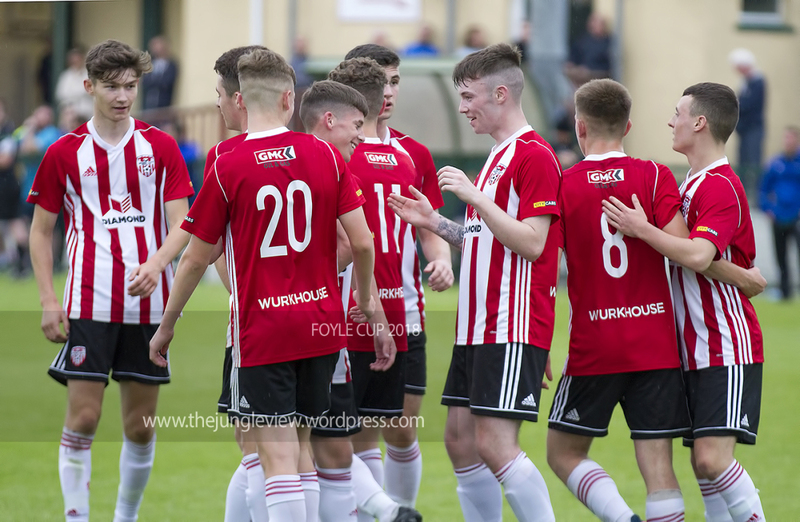 The club would like to congratulate all Derry City sides that took part in this year’s Foyle Cup and on their behalf, we’d like to thank the organisers of the competition for bringing such a fantastic feast of football to the North-West every year and congratulate them on another superb tournament. For more in-depth coverage of the Derry City underage teams, including reports, pictures and video, then head to www.thejungleview.wordpress.com or TheJungleView on Facebook.